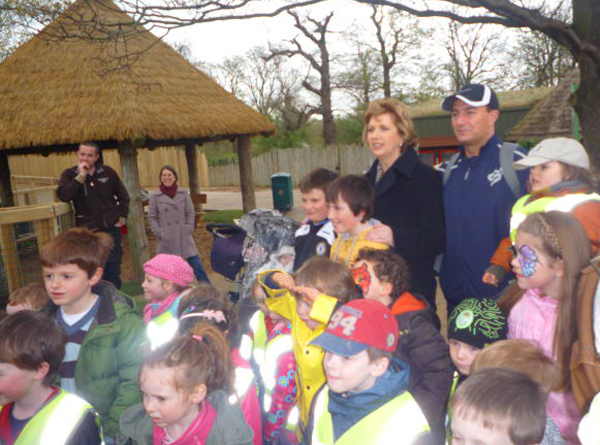 On Thursday 9th of April, the President of Ireland, Mary McAleese officially opened the new African Savanna habitat﻿, which included also the bespoke play area designed by CPCL. 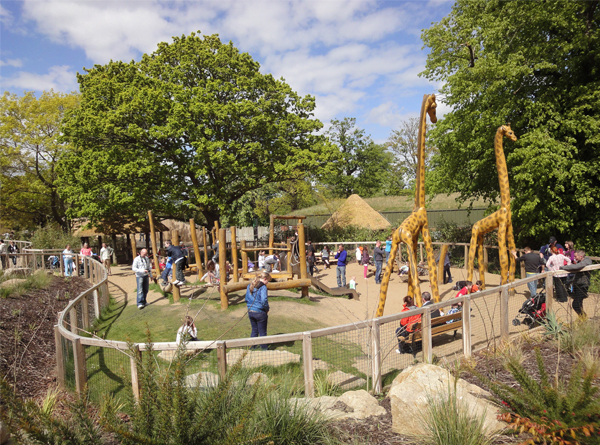 Just in time ready for the official opening, the playground includes a great range of the animals found for in the natural habitat of the African Savanna! 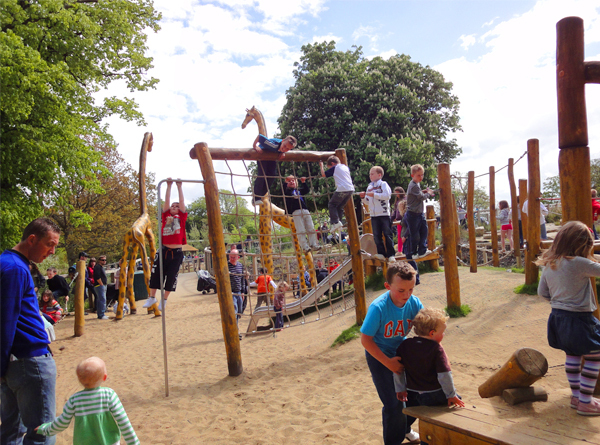 The play area is designed for children up to approx. 6 years of age. 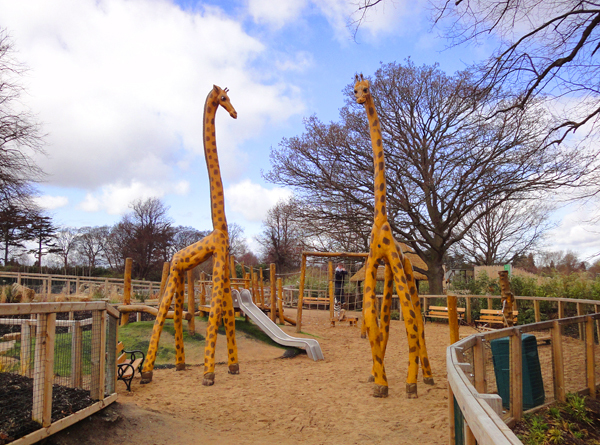 Life sized play sculptures scattered along the footpath, lead the way to the play area: a rino, two zebra's and at the entrance two large Giraffe sculptures welcome its visitors. 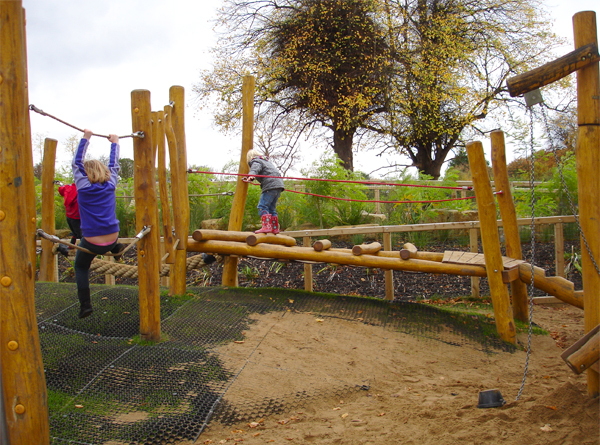 Inside the playground is installed a large balancing- and climbing trail with ropes and climbing net, a slope slide, sandplay elements and seating.